Discounted vapor products. 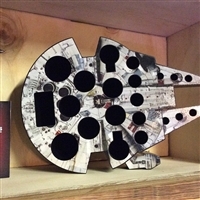 All vapor products at Big Chief Vapor that are on sale, giving you a more affordable options. 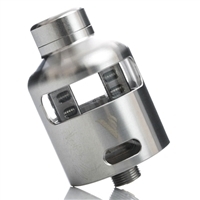 Nalu RDA by Vaporesso is designed for vapers, by vapers. The TUBE TANK PRO by VOLCANO is an innovative tank system that brings incredible adjustable airflow to create the satisfying clouds. 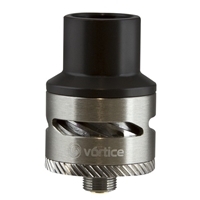 The Vortice was designed from the ground up to be a versatile flavor atty. Introducing the Jarvis MCT Multi Coil Tank possibly the most versatile tank on the market today with the ability to use multiple brands of ready available coils. This is a clearance item. Kacti Kooler is a fresh orange soda styled eliquid that is a reminder of our favorite citrus pineapple fountain drink. Comes in a authentic 30ml Gorilla Bottle. Purple Reign is an anthem to our favorite sweet grape flavored candy, a quality fusion of sweetness, grape, and nicotine salts. Comes in a authentic 30ml Gorilla Bottle. Fruit Cocktail by Salty Man Vapor E-Juice is an apple filled fruit medley! Comes in a authentic 30ml Gorilla Bottle. Razzleberry by Salty Man Vapor E-Juice is a sweet and tangy raspberry! Comes in a authentic 30ml Gorilla Bottle. 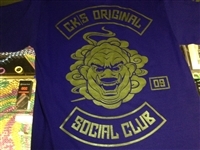 Copyright © 2014 www.bigchiefvapors.com. All Rights Reserved. Ecommerce Software by Volusion.